You Need : Colors, dotting tool and brush. Using a thin brush try to draw a ghost on one finger and a skull on the other. Finish. Don’t worry about being messy, the messier the better. 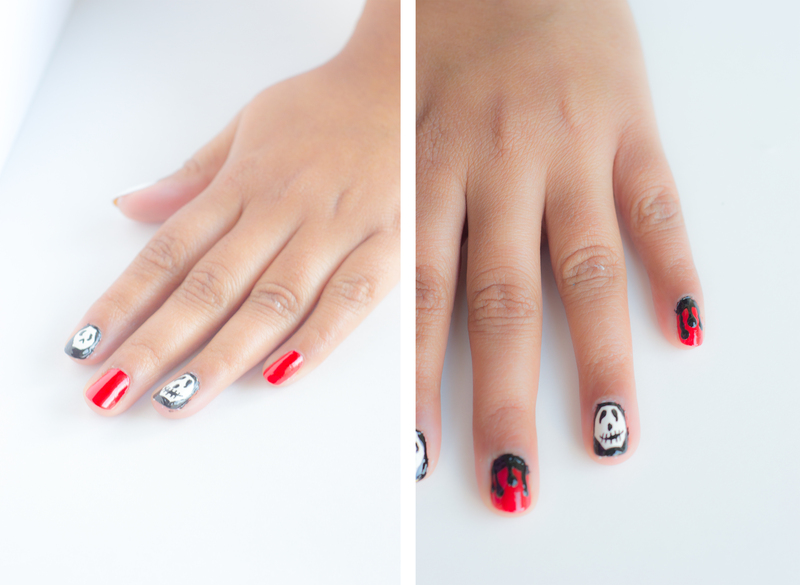 Using a dotting tool/bobby pin , place dots with black color on red, make it as messier as possible and join all the dots at the cuticle to look like blood drippings. On the thumb, draw thin veins with brush. Place a big blue dot followed by a black dot to make it look like a eyeball. 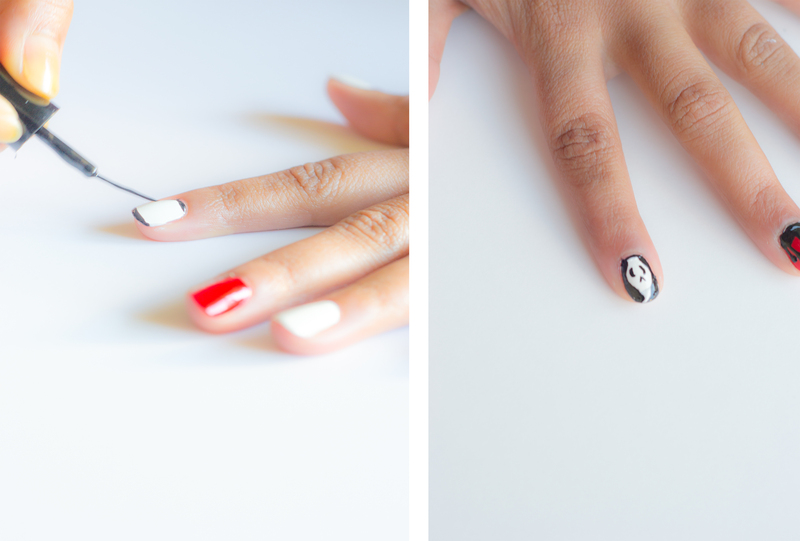 Clean the edges with a Q-tip and nail polish remover. 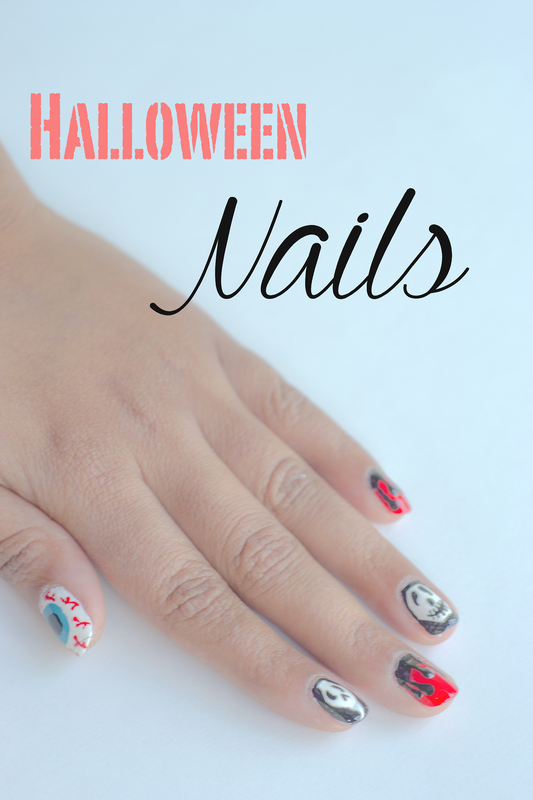 There you have it Halloween ready manicure. Happy Spooky Day!